Because the art of drawing is vastly different from basic writing, a budding sketch artist may encounter challenges if he does not change the way he holds a pencil when drawing. Writing involves tiny and uniform marks on paper. Conversely, drawing involves a variety of strokes (both small and sweeping) that necessitate different grasps on a pencil. Be ready to vary your pencil-holding positions according to the specific drawing you do. Grasp the pencil in a basic grip (as you would when writing), except hold the pencil further away from the tip. When you grasp a pencil very close to the tip (as in writing), you have ideal control for very detailed drawing. When you grasp a pencil further back, you have more range of motion and the ability to make sweeping sketches with your arm from the elbow down. Use this grip for basic sketching. Hold the pencil vertically in your hand with your thumb on one side of the pencil and your four fingers on the other side (usually the "underside"). 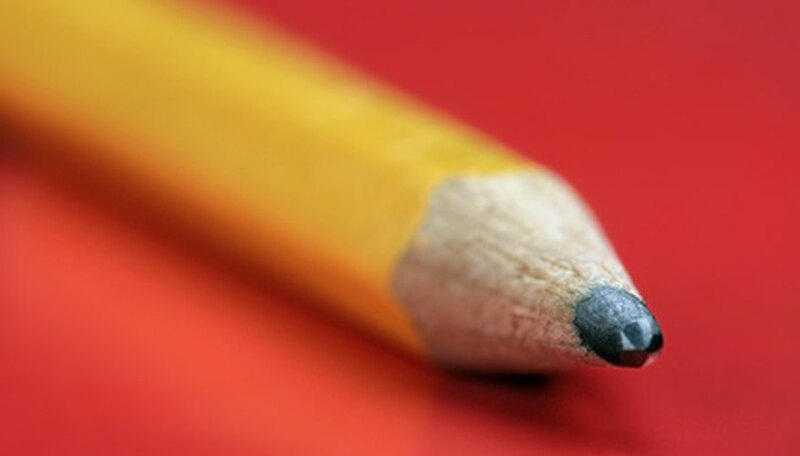 The tip of the pencil is facing up and your hand grasps it approximately 3 inches below the tip. Use this hold for sketching at a vertical surface (sitting at an easel) when you are sketching a preliminary drawing. This hold is also ideal for shading because you can use the side of the pencil lead. Vary your grasps on the pencil between the first and second grips according to what you are drawing. By holding the pencil closer to the tip, you have more control and you will be able to add small details to a drawing. By holding the pencil further from the tip, you have less control and can add large strokes and fundamental aspects to a drawing. Pay attention to how your drawing arm and upper body feel as you are drawing and when you finish. If you experience fatigue and cramped muscles, try to vary your pencil-holding techniques because you may not be holding the pencil in the best position for what you are drawing. Many sketch artists prefer sitting at an easel and drawing on a vertical surface because it enables them to stay more comfortable as they draw and they will experience less fatigue. There is not “right” or “wrong” way to hold a pencil to draw. Stay attuned to how you feel and hold the pencil in a way that feels comfortable and allows you the most creativity.